We spent a few days travelling the length of the beautiful River Tees from the impressive waterfalls of the upper Tees in the Pennines to the estuary in to the North Sea. After heavy rain we were lucky enough to enjoy some sunny days in the north-east. Preston Park is on the outskirts of Stockton-on-Tees and runs down to the banks of the River Tees. Within the park is Preston Hall, a 19th century Victorian house that now houses a museum. The grounds of the hall include an adventure playground, a butterfly house, walled gardens and lovely woodland paths and it is a popular place for young and old on a sunny morning. 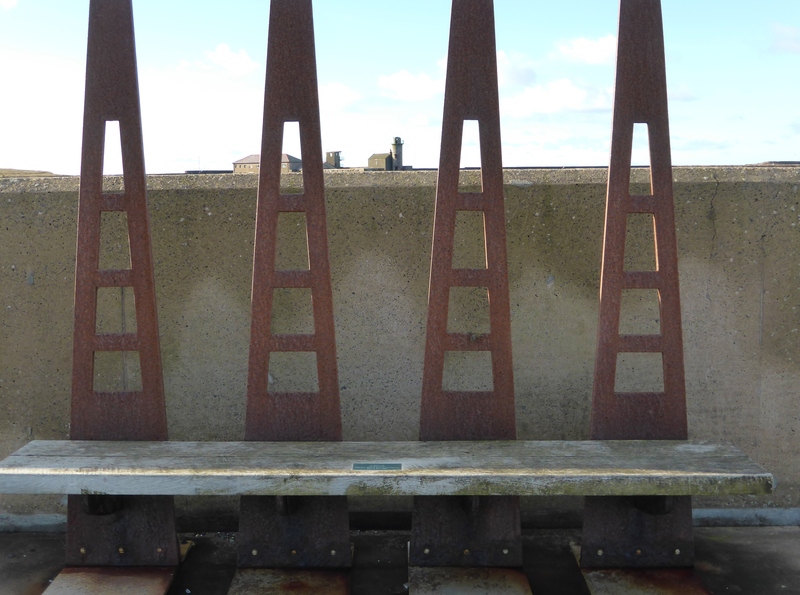 This memorial bench has views over the River Tees and has a moving dedication to both Norman Hutchinson and his dog Robin, suggesting a man and dog partnership that was inseparable. The plaque tells those who walk by or stop and rest that the two of them are both missed by their family and friends. I sat on the bench taking in the view and for a few moments imagined Norman Hutchinson walking by accompanied by his faithful friend Robin. Whitehaven has been one of my favourites towns, from the first time I visited in 1982. 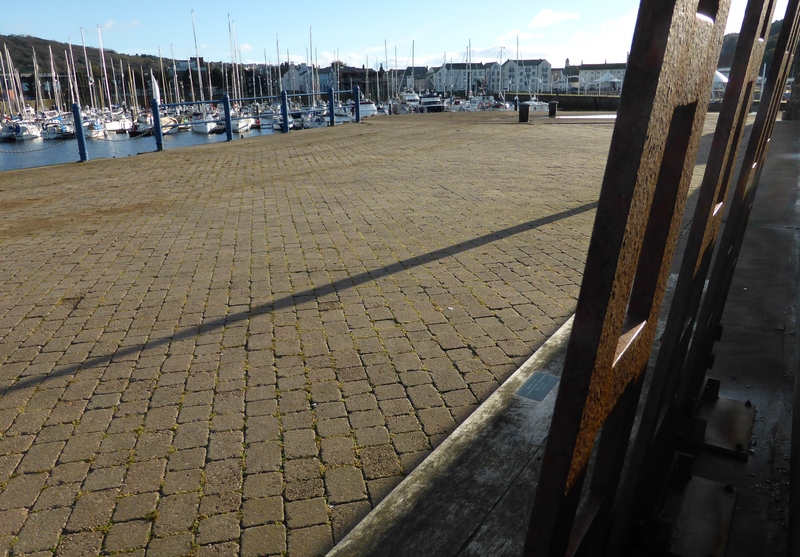 Whitehaven has changed a lot since then and today Whitehaven has re-packaged itself successfully as a tourist destination and a stroll around the lovely marina and harbour is always a pleasant way to spend an hour or so. The first quay was built at Whitehaven in 1633 to export salt and coal and as Whitehaven developed and industrialised the harbour was extended and by 1800 was an important port for the import of tobacco from America and rum, sugar and slaves from Caribbean Islands. By the late 19th century the harbour had rail access. Today the harbour has a sea lock creating a marina full of boats with sailing-related street art dotted along the quays. Bill Madine MBE was very active in the Whitehaven community and this will explain the splendid and interesting memorial bench that is dedicated to him and placed to have a view over Whitehaven harbour. This bench ensures that he continues to be a community memory, as well as a personal memory for those who knew him well, loved him and will always remember him. I imagine colleagues and acquaintances giving him a nod in remembrance as they pass the bench or take a rest for a while. According to Bill Madine’s obituary, in the local News and Star, as well as being a Fishermen’s Agent and Harbour Commissioner, Bill Madine was a trawler boss and also involved in the National Federation of Trawlermen as a regional representative. 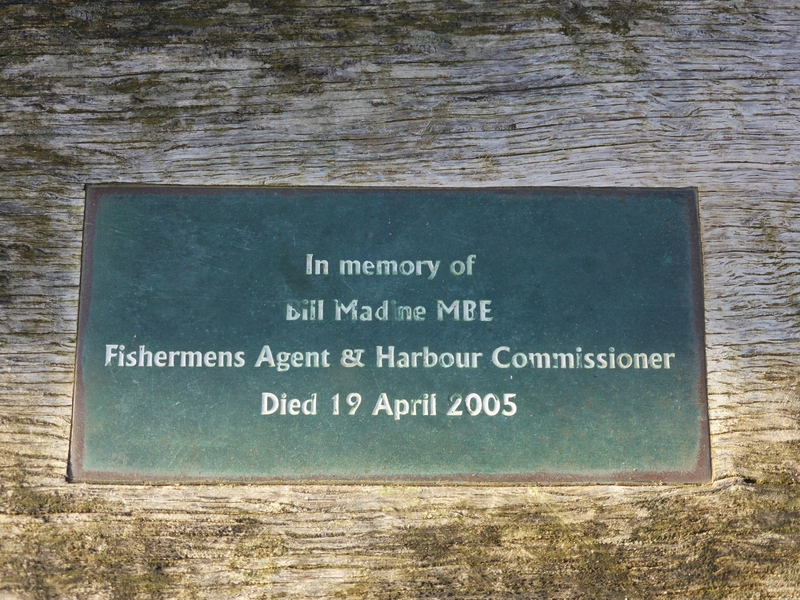 This bench remembers his fishing life but Bill Madine was also an active supporter, director and president of Whitehaven Rugby League Football Club.